I have spent this week in Arkansas with the inspirational team from Southern Bancorp, one of the largest Community Development Financial Institution’s (CDFI) in the United States. I have never met so many people so united and motivated behind a positive social mission; “to create economic opportunity in rural and underserved communities by providing responsible and responsive financial products and services that balance profits with purpose”. Inspired by their story, I wanted to share some reflections with you and start a conversation about how we can communicate the wider impact story of organisations such as Southern. Southern Bancorp serve 80,000 customers in some of the most socioeconomically distressed communities in the United States, with their 40 branches spanning the Mississippi delta and rural Arkansas. The bank was founded in 1986 by Governor Bill Clinton, Walmart Chair Rob Walton, the Winthrop Rockefeller Foundation and others who were concerned about the economic decline of rural Arkansas. Their banking arm operates alongside their non-profit community partnership that enables them to deliver a seamless toolkit of financial development products and services to those most in need. This blend of mission and margin is a consistent balancing act- the banking arm having to ensure the financial sustainability of their business model and mission through its focus on scalability, product innovation and capital growth. So, what makes Southern Bancorp a different kind of bank? Well, for starters, they are a truly community-based bank. They stress that their focus is on community development, not purely economic development - supporting individuals and community agents in a holistic way to build economic resilience rather than just supporting businesses to grow. How do they achieve this? In part, it comes from their dedicated staff being an omnipresent and trusted face in the communities they serve – you can find them at the baseball games, chairing committees, running child saving initiatives in local schools and mingling at the local Blues festival. This distinguishes them from other banks that might offer some of the same products but don’t pair this with a support network that enables the products to have tangible impacts on customer’s lives. Southern’s strong alliances with community stakeholders give customers an invaluable support network that can increase the impact - whether this is through referring customers to the business development centre at the local university or providing credit counselling courses at sites relevant to a specific community to tackle poor credit history and build a customer’s confidence. All staff are trained to understand the core suite of wealth building products and services the Bank offers, enabling them to focus on the solution not the problem, however challenging the situation they are faced with. Their focus on community development starts with their own employees. Whether this is through their low interest and easy access employee opportunity loan or by making a stand by setting their company minimum wage significantly higher than the state minimum’s - 19% higher for Arkansas ($8.50 p/h) and 40% higher for Mississippi ($7.25 p/h). Their approach to lending and asset building is also human-centred. Instead of relying solely on tick box applications they spend time understanding a customer’s specific needs, championing them by connecting the dots between bodies that can guarantee their loan and through sourcing knowledge and expertise internally that will help with their application. It has been an honour to be able to witness this organization on the ground first-hand and to be involved in how they can tell their impact story to investors. 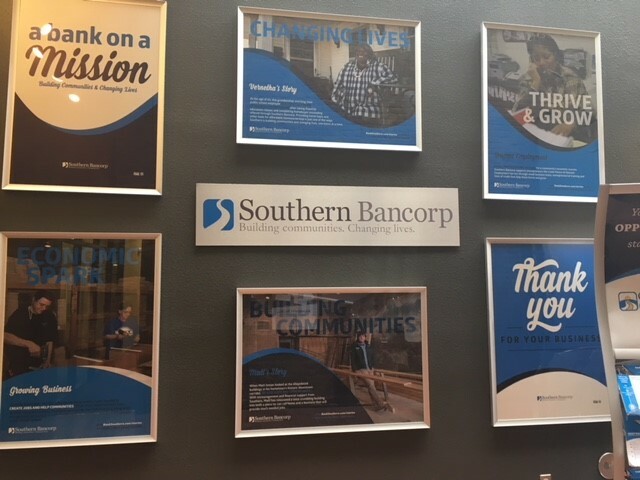 After months crunching numbers, digesting reports and speaking to the Southern Bancorp team, it has felt special to see the impact with my own eyes and has given me inspiration to improve the way we can measure and tell the broader impact story of organisations to investors. Using a systems thinking approach we will be telling this wealth building story, with Southern’s mission goals defining the focus of the system; empowering 1,000,000 to save via products, services and public policy, supporting 100,000 jobs through entrepreneurship, retention and creation of employment and supporting 10,000 people attaining and sustaining affordable housing. These goals focus on the characteristics of people who manage to escape inter-generational poverty, by building some buffer of assets that can be used as collateral or to invest in education or small business support that will in turn provide a sustainable source of income. We will be exploring what external factors are having the biggest impact on Southern and the wider CDFI system, how their products and services interconnect and where potential leverage points are for ‘ecosystem’ investments that can accelerate their own work. Too often in the field of impact investment we talk about output’s - jobs created or business loans issued as impacts. You only have to look at the GIIN’s database of metrics and investor’s ‘impact reports’ to see evidence of this. These outputs may follow through to become impactful, and some are in themselves but often we need go deeper to be able to make an effective impact-based decision. Without viewing impact holistically, it can also hide the powerful interconnections at play between the different impacts and fail to reveal companies that are going the extra mile to create a social impact. Telling this deeper impact story is far from easy and is often specific to the organisation you are assessing and its unique context, but that doesn’t mean we shouldn’t try. It can allow investors to make more targeted and mission-aligned investment decisions, gain a deeper understanding of their impact measurement risk and understand the broader system at play, so they can intervene in the most impactful way. This may even mean spending time on the ground with the organization to intimately understand this complexity. There is work for us all to do to get better at capturing these impacts, and incentives need to be aligned. Stay tuned for more thoughts on this soon. I’d love to hear from those of you grappling with telling impact stories – get in touch!